Hey reader! Guess what? Tomorrow afternoon ole Andy and I are going to hop a plane to Paris! We’re going to be gone for two weeks, in which time we’ll visit Paris, Lyon, Florence, Rome, and anywhere that strikes our fancy in between. I am beyond excited. And when I come back, I’ll show you all of the food I ate! Also, if Molly and Helen have their way, I’ll also come back with some sort of skeleton and a small taxiderm-ied animal. I have weird friends. Before I go, I wanted to leave you with something delicious and vaguely Parisian, so here we go! First off, no. This quiche is not half lemonade and half iced tea. But it is half for me (roasted broccoli and cheddar) and half for Andy (crispy bacon and cheddar). So I gave it a funny name! 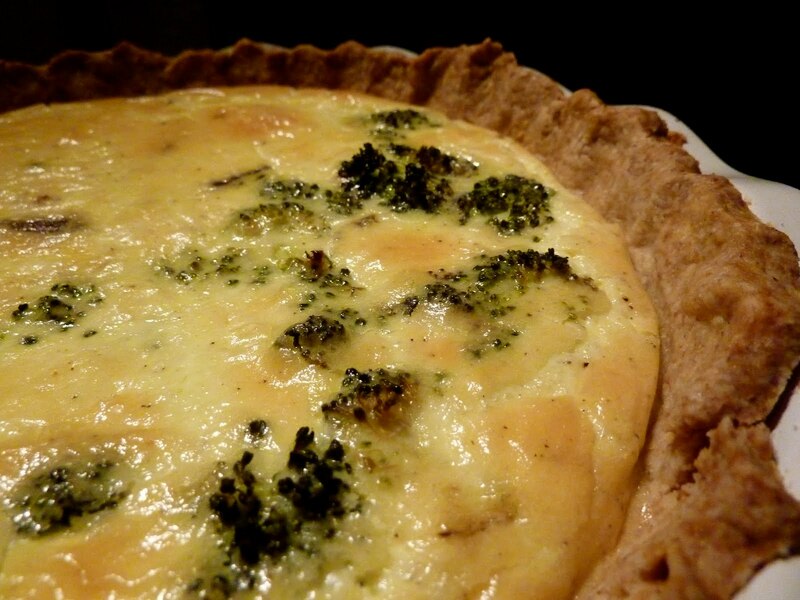 Make no mistake about it- this quiche is off-the-charts amazing. If you, like me, thought quiche was just a bunch of eggs beaten with a little cream, mixed with cheese and fillings and poured into a pie shell, you’re in for a treat! This quiche, really a riff on Quiche Lorraine, is nothing less than custard, and it is so much better than the standard beaten-egg quiche. In fact, there are only 2 whole eggs and 2 egg yolks in it- mixed with one cup whole milk and one cup heavy cream. (Fun fact! This recipe comes from The New Best Recipe, the folks who are fanatical about making a recipe work perfectly every time. They caution you to not replace 2 cups of half-and-half for the cream+milk, because half-and-half doesn’t have the same butterfat as the milk+cream mixture (11.7% compared to 20%). Science!) Anyway, on to the recipe! Then you mix that flour/fat mixture with a little ice water, wrap it in plastic wrap, and shove it in the fridge for an hour. Can you see the tiny hunks of butter in the dough? That’s where the magic happens. Then you roll the dough out and put it in your prettiest pie plate! And crimp the edges! And then it has to refrigerate for another hour 😦 Boo. But you really have to do it, or else the shell will crumple during its pre-baking. Use this time to roast some broccoli! After your dough has chilled, you bake the crust for 25 minutes or so, until it looks dry and starts to turn light brown. Then you take it out of the oven and scatter shredded cheddar cheese on the crust and then put your fillings on top of that! Action shot! You put the pie on the oven rack and pour the custard mixture on top. And then you play… the waiting game. When it’s all brown and set up, and only jiggles a little in the middle, you can take it out! And then wait a little longer for it to cool off. And then eat it! Oh, and if you made a bacon-half for your significant other, force them to eat some of your leftover roasted broccoli on the side. It’s only fair. 1. Preheat the oven to 375 degrees. Place a sheet of aluminum foil over the unbaked crust; add a layer of pie weights or dried beans. Bake for 25 minutes. Carefully remove the aluminum foil and the weights. Bake crust for 5 minutes or until golden brown. Remove from the oven, but do not turn the oven off. 2. Meanwhile, fry bacon in a skillet over medium heat until crisp and browned, 5 to 10 minutes. Transfer bacon with a slotted spoon to a paper towel-lined plate. 3. Whisk eggs, yolks, milk, cream, white pepper, and nutmeg in a medium bowl or a measuring cup with a pouring spout. 4. 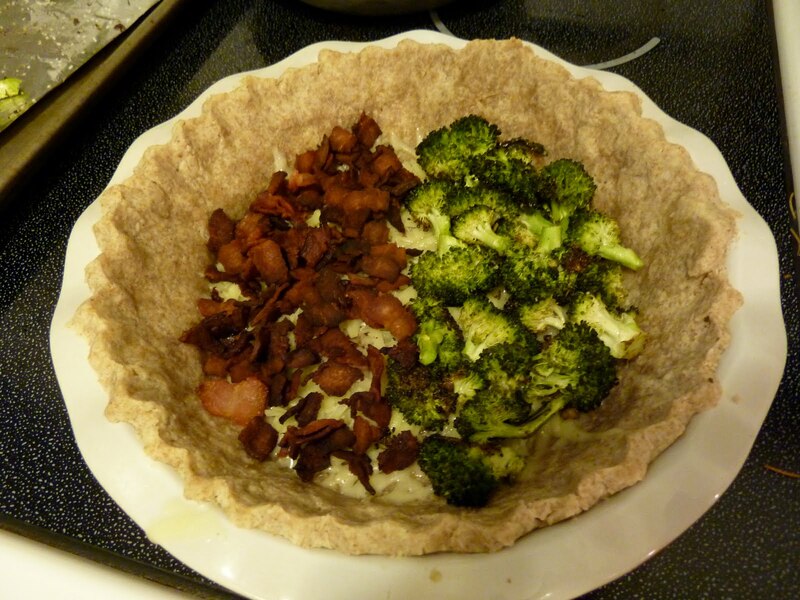 Spread cheese evenly over the bottom of the warm pie shell, and then top with half bacon, half broccoli, or any other toppings you wish. Set the shell on the oven rack. 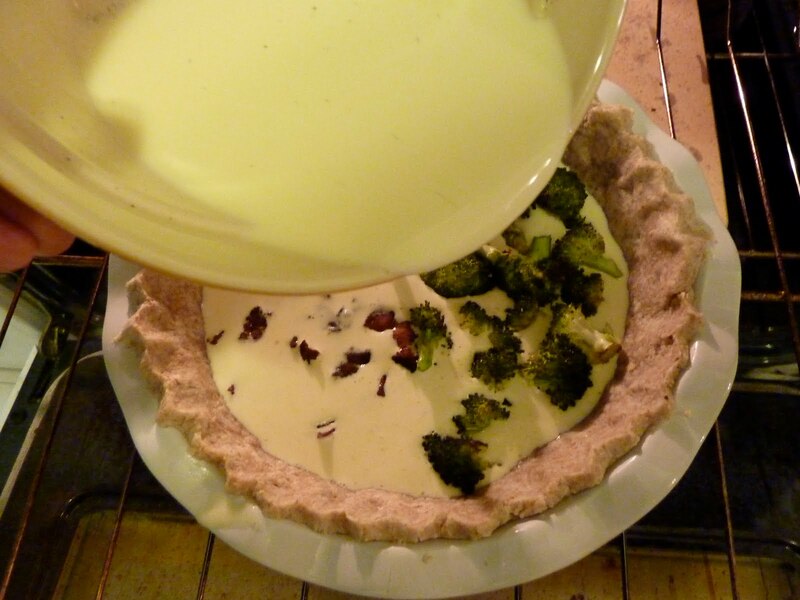 Pour the custard mixture into the pie shell until it’s about 1/4 inch below the rim of the crust. 5. Bake for 32 to 35 minutes (mine always takes closer to 45 minutes!) or until the top is a light golden brown and a knife blade inserted about 1 inch from the edge comes out clean. The center should feel set but soft, like gelatin. Transfer to a rack to cool. Serve warm or at room temperature. 3. 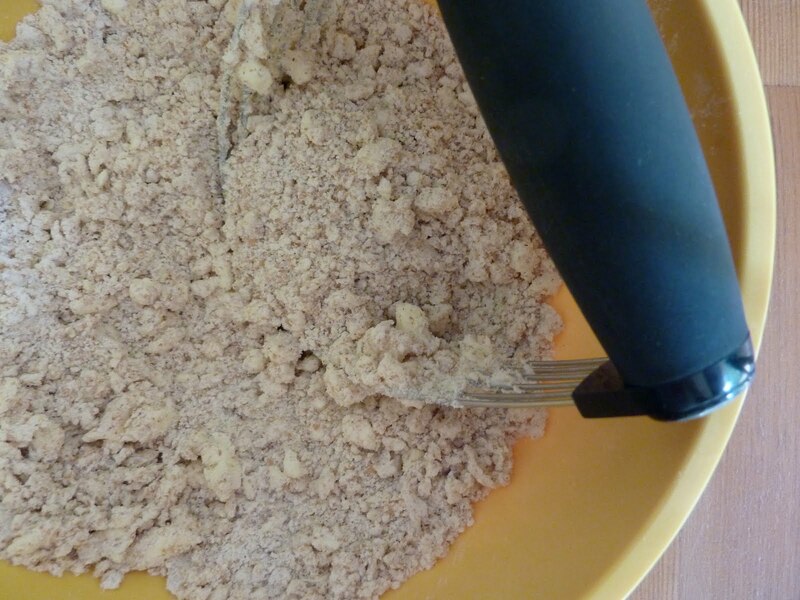 Remove the dough from the refrigerator (if refrigerated more than 1 hour, let stand at room temperature until malleable). 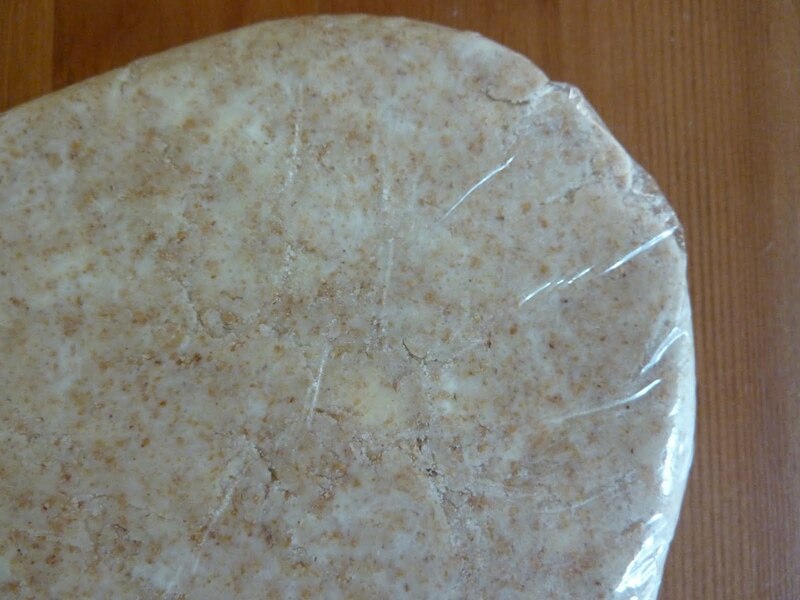 Roll the dough on a lightly floured surface into a 12-inch circle. 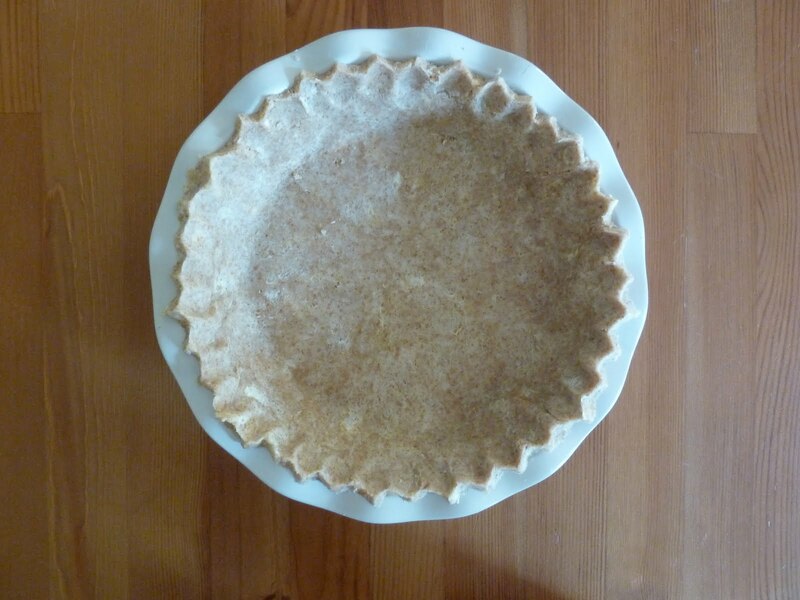 Transfer the dough to a nine-inch pie plate and crimp the edges. Refrigerate for another hour. Looks Yummy! Have a good time in Europe!!!! Hope you had a great time on your trip!! !